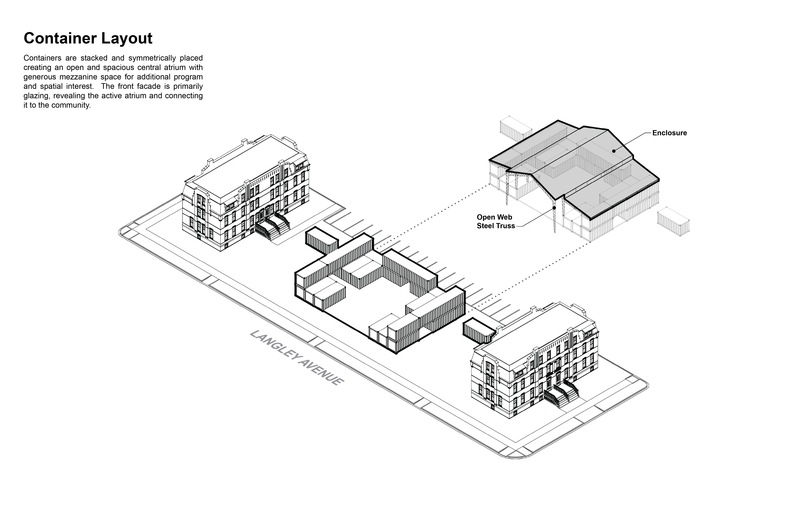 In Chicago’s historic Pullman neighborhood, an open design competition was sponsored to engage the architectural community in the exploration of affordable space for artists to live and pursue creative work. Our firm was one of 10 semi-finalists selected to provide a concept design honoring the history of Pullman while transforming the site’s vacant buildings and land into productive and inspiring spaces. We believe the nature of the existing residential buildings – small efficient worker apartments – did not lend themselves to open spacious artist live/work lofts without significant modifications to the historic structures. Our design approach was to restore these buildings as residential use while providing shared artist workspace in a new central building. Reminiscent of the live/work relationship of the Pullman past – the functions are adjacent but separate. 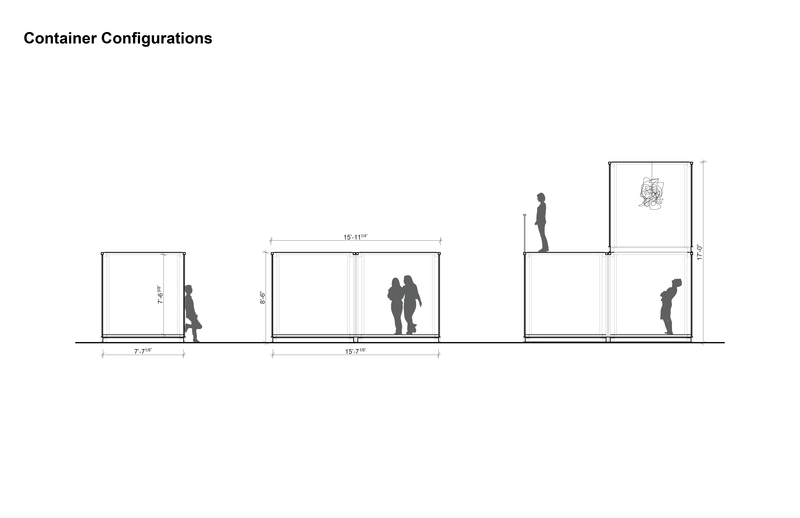 Defining a new building solely as artist workspace has many benefits. It allows an affordable, durable, modular construction type to be implemented, reducing development costs. Surveyed artists identified the need for true workspace, and consolidating functions into one shared facility resulted in higher quality space than would be possible within a live/work unit. The shared workspace promotes a supportive creative process between artists and provides a public space to connect to the larger community. 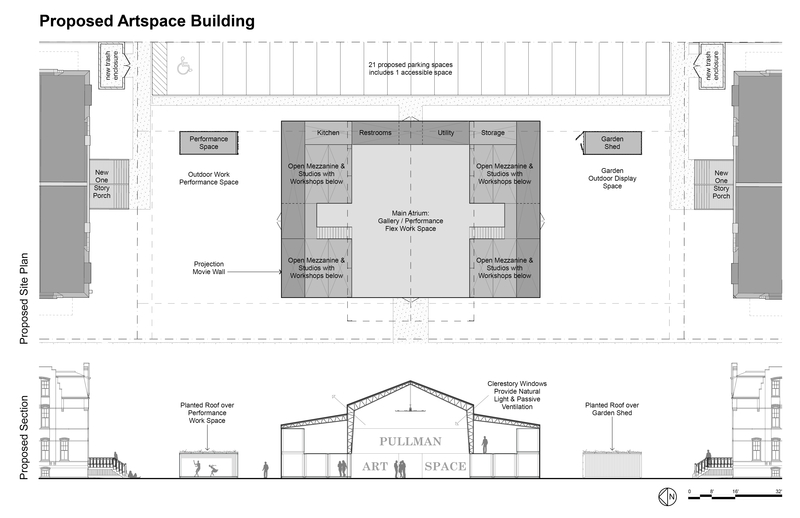 Drawing from Pullman’s railroad history, upcycled freight containers are used as primary building components allowing the building to be highly adaptable to programmatic needs. By using containers as building elements, development costs are reduced through minimal site disturbance, less on-site construction time, and ease of transport via the adjacent railway. Although our proposal was not ultimately selected for development, we believe our solution provided an opportunity to create a truly affordable artist community that honors the area’s industrial past. 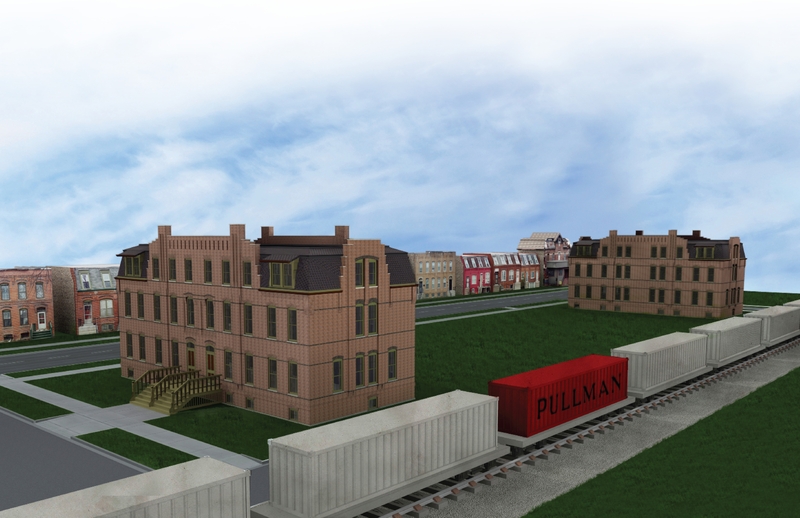 The use of freight containers as building modules reflects the innovative spirit upon which Pullman was founded.